Budapest is well-endowed with cafés, restaurants and fast food joints which cater for every kind of international palate. If, however, you’re looking for a true taste of Hungary, or for a place which is as interesting for its history and its décor as it is for its cuisine and its service, there are four famous Budapest establishments which you simply must visit. 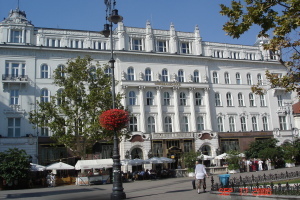 The Hotel Astoria, on the corner of Rokoczi Ut is home to a 19th century café and restaurant with old world charm and a traditional Hungarian menu. The New York, on Erzebet Korut, is a coffee house in the old Budapest tradition. The interior is exquisite and as it was once the haunt of the cream of Budapest society, it has a certain class and cachet. The Gundel restaurant on the northwestern edge of Virosliget, or City Park, near the entrance to the Zoo, was the birthplace of Pancakes à la Gundel, a confection covered in chocolate, nuts and cream which has all the elegance, and the complete disregard for calories and colesterol, of times past. 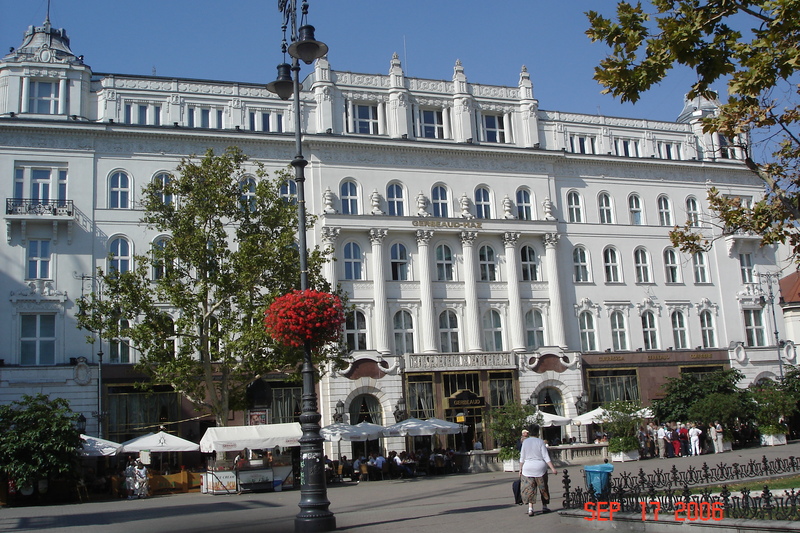 The most famous and the grandest of all of Budapest’s cafes is the Gerbaud Coffee House. Founded by Hungary’s culinary leading light, confectioner Emil Gerbaud, it has stood at number 7, Varosmarty Ter since 1858. It still offers the traditional coffee and cake enjoyed by Budapest society ladies and gentlemen in the Dual Monarchy days. Home-brewed beer is also on tap at the Gerbaud Coffee House and it is warmly received by those who come to rest here after an exhausting day’s shopping on Vaci Utca.